Great treats for use in training, rewards or in foraging toys! A special red egg food supplement containing canthaxanthin, essential amino acids, and key vitamins for your bird. Promotes the development of vibrant plumage and should be added as a part of your birds diet 3x per week. A fabulous fruit and nut mixture for larger birds consisting of tropical fruits, nuts and veggies: pineapple, papaya, coconut, raisins, carrots, peas, red peppers and peanuts. SunSeed has also added probiotics to support digestive health and DHA to help maintian heart, brain and repiratory functions as well as support your bird's natural immune system. Popped Multi-Grain Toppping. Ring-shaped swing treat made of softwood center covered in crunchy baked biscuit and topped with popped millet! Toy and treat in one! Includes plastic clip for easy hanging. Ring-shaped swing treat made of softwood center covered in crunchy baked biscuit and topped with grass seed and spinach! Toy and treat in one! Includes plastic clip for easy hanging. Banana Nut Topping!Banana shaped softwood chew treat covered with crunchy baked biscuit and banana nut topping. Toy and treat in one! Attached clip for hanging. 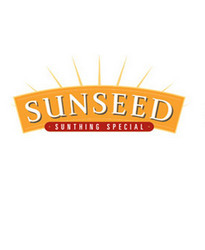 Sun seed garden goodies positively papaya bird treats include all dehydrated papaya to delight your pet with mother natures goodness. Perfect for parrot, cockatiel, conure, lovebird.